5/21/2012Share this story on Facebook! Learn More About the Musical! In the story, a princess is sent as a peace offering to another country and is set up to marry a prince. 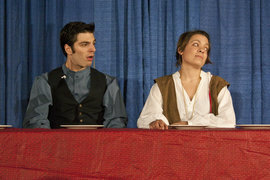 Rather than falling in love with her betrothed, she takes notice of the prince's sister instead. 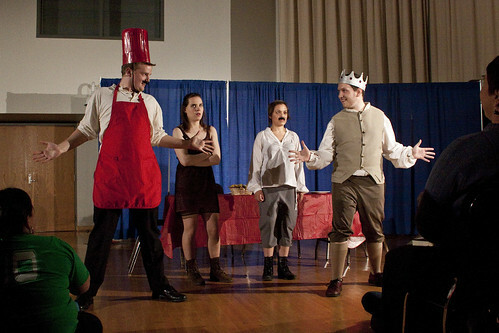 The musical ran for two hour-and-a-half long performances in the Whalen School of Music. 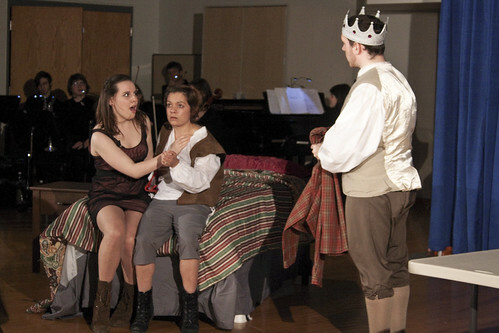 Music and lyrics were written by junior Music Composition major Will Shishmanian, script written by junior Television Radio major Sarah Kasulke, directed by drama major Sara Stevens, and performed and staged by thirty other Ithaca College students. Because the cast and crew wanted to give everyone a chance to see the musical, admission was free. Shishmanian came up with the idea last year and approached Kasulke asking her to write the script for it. Kasulke says she was excited to jump on board with the idea, despite never having written a love story before. Kasulke and Shishmanian, both part of the LGBT community themselves, wanted to create a story that brought up those issues in a time period and setting everyone could relate to. "We wanted to make something for everyone, not just people like us, but we wanted it to be about people like us," Kasulke says. "This wasn't, 'Hey, let's make a gay thing for gay people.' It was, 'Hey, let's make a gay thing for everyone.' Just one step closer to more common and accurate media portrayals of LGBT characters as just people, rather than stereotypes or token characters". The crowd was receptive to the performance, Kasulke says, laughing at the right jokes and applauding for the music, which was the true ultimate goal of the project. 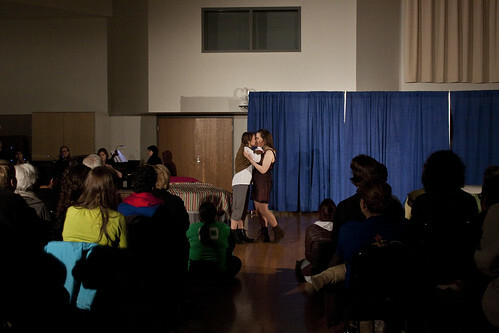 "It was really awesome seeing so many people come out and cheer on this little lesbian couples' love story," she says. "You don't get to see that every day." Kasulke says the success of the project proves that there is a strong support for the LGBT community on campus. "Doing a musical with the word 'lesbian' in the title, and advertising it and promoting it like we did, to the warm reception we got for it, makes it clear that this is a campus where you can be open about who you are and who you love."